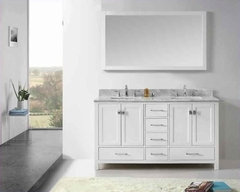 Coaster Dresser & Mirror Spencer CO2023234. 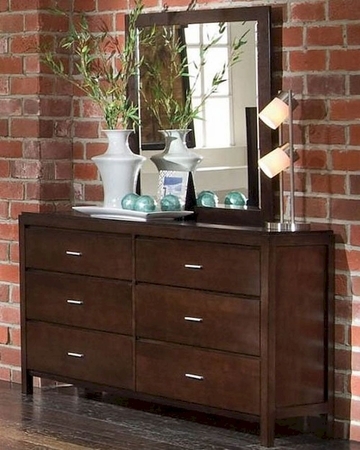 The Spencer sleek lines give this dresser and mirror a clean casual contemporary look. The matching case pieces feature an added luxury of felt lined top drawers. Collection finished in a rich cappuccino. Brushed metal drawer pulls and center metal glides to allow for smooth opening and closing of your drawers complete these pieces. 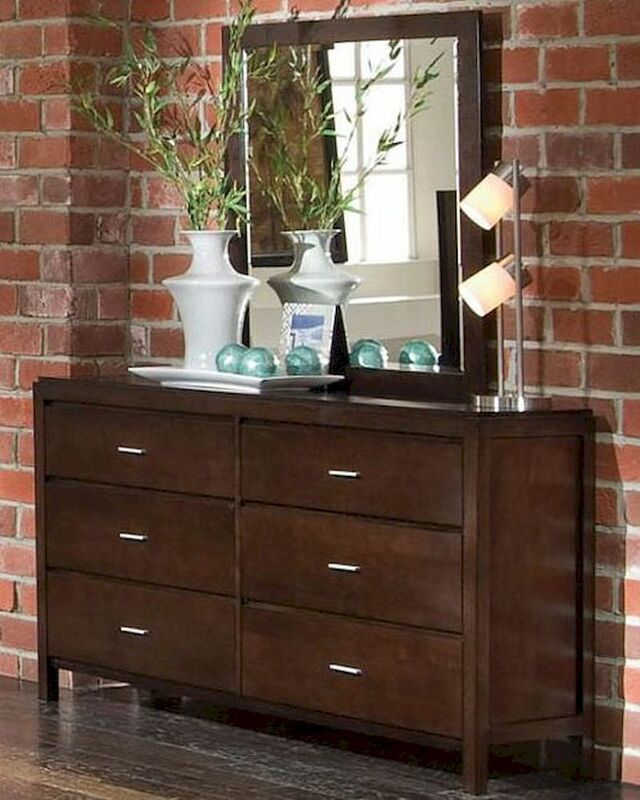 Dresser - 60"W x 17"D x 36"H.
Mirror - 34"W x 2"D x 39"H.
Crafted from solid wood and ash veneers. Block legs and recessed side panels. Full extension metal center glides create solid and smooth drawer close..